Over the past several months, the boutique fitness industry has begun to adopt a dynamic pricing model for selling spots in classes, with certain classes priced higher/lower depending on demand. And why not? Dynamic pricing, which we’ve seen take hold in other industries such as travel or entertainment, offers studios and gyms the ability to acquire more customers and earn more overall revenue. 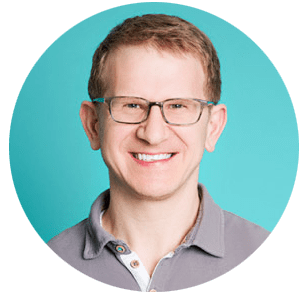 As the industry evolves towards a dynamic pricing model, we had the opportunity to sit down with ClassPass’ VP of Pricing and Inventory, Zach Apter, to uncover more about the impact dynamic pricing will have moving forward. What factors led to the decision to launch dynamic pricing on ClassPass? Our goal with dynamic pricing is to maximize studio revenue for their unfilled spots. We know that boutique fitness classes are a perishable good with low variable costs, meaning, there’s a limited time frame in which a spot can be sold, but if it can be sold, it’s almost pure profit to the studio. And we also know that overall capacity utilization in studio fitness is low, meaning there’s an opportunity to use dynamic pricing to capture demand that’s not willing to pay full retail, which will help grow the studio fitness market. If we can provide a sales channel to our partners that helps them price discriminate, dynamic pricing will be an important part of that. It’s not unlike what what we see in other industries such as travel or live events, where price discrimination plus dynamic pricing helps drive revenue for inventory that would have otherwise gone unsold. Dynamic pricing helps drive revenue for inventory that would have otherwise gone unsold. Dynamic pricing also smooths demand across class times, lengths, and instructors. When all classes at a studio are priced the same (or similar), customers tend to crowd into the most desirable options. This crowding can impact the experience in the full classes by straining facilities and limiting direct instruction, while leaving other classes barely attended — a potentially demotivating experience as well. How does the ClassPass algorithm work? We sought to create something unique to the market that only ClassPass, with our wealth of data around user behavior and preferences, could offer. Our team builds class-specific demand curves that predict how user purchase behavior varies depending on class price in order to understand the revenue maximizing price to a studio for a spot, at some given moment in time, given all the other demand they are likely to see. We give studios control over their price so that it never goes below a certain floor, and we incorporate their direct fill so we’re not cannibalizing. We take opportunity cost into account as well so we don’t sell a class at $10 that some other student would have bought for $15. Our basic approach seeks to maximize the expected value of an impression — in other words, the price we show a potential customer times the probability they will buy the class at that price. Consider a class that is priced at $30. In this scenario, we predict that, at that price, there’s a 10% likelihood that someone on ClassPass will purchase the class, so the “expected value” is $3. Since we have the full demand curve for that class, we predict that moving the price to $20 will move the probability of purchase to 30%, which increases the expected value to the studio to $6. So the studio makes more money, and the class is more accessible to a segment of consumers that couldn’t afford $30, which is a win for all. It’s all about finding that “sweet spot” — the combination of price and the likelihood that someone will book — to capture the most purchases at the highest rate. It’s all about finding that “sweet spot” to capture the most purchases at the highest rate. Should the entire industry shift to dynamic pricing? Can studios offer dynamic pricing on their own? If everyone was always willing to pay full price and every class was always full, there would be no need for dynamic pricing, but that’s not the reality — for the fitness industry, or for the other industries we’ve mentioned. Any industry with excess capacity and low variable costs has the opportunity to benefit from dynamic pricing, if you can do so without cannibalizing your full fare business. But I would advise a studio against trying to offer dynamic pricing on their direct traffic for two reasons. The first is that you need to have a lot of data, not just about your own studio but the overall market, and be able to build accurate demand curves to to support your efforts. It’s not about lowering prices, but intelligently understanding the opportunities you uniquely have around pricing and inventory. If everyone started dropping prices then there would be a race to the bottom which we don’t want to create; rather, we want to increase the revenue studios are bringing in as much as possible. The second reason is that if you lower prices on your direct traffic then you are at great risk of giving away your pricing power. It is much better to seek to price discriminate in an indirect channel that offers you the opportunity to reach a different audience, rather than just lowering prices on your existing customers. Zach Apter is VP of Pricing and Inventory at ClassPass. Previously, Zach was the head of business and competitive strategy for Googleʼs self-driving car project and Microsoftʼs global Corporate Strategy team. He has a 15-year track record in consumer technology, including search, communications services, digital media, marketplaces, operating systems, business productivity services and hardware. He holds a degree in Economics from Stanford.